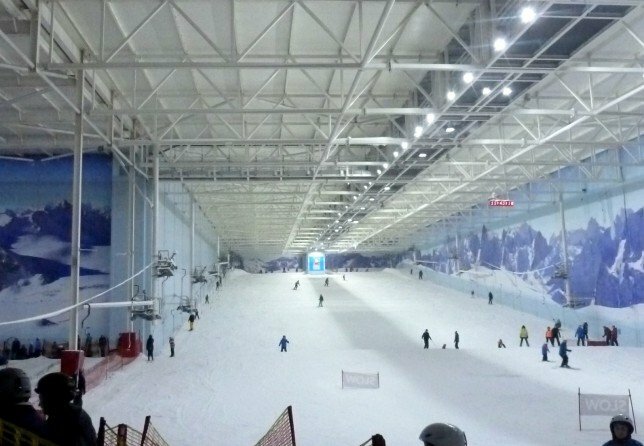 Two weeks ago we took a trip to Chill Factore in Manchester. 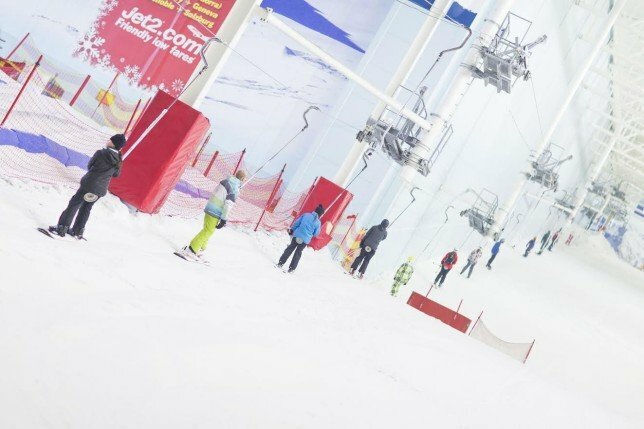 Chill Factore is a wonderful ski centre giving you the opportunity to ski in the UK on real snow any time of year, it is located right next door to the Trafford Centre in Manchester and is the perfect place to learn to ski. We live very near to a dry ski slope and have intended to have lessons for some time now. Jack went skiing for the first time ever with school last year and fell in love with it; he has been nagging us to try it out ever since. So finally last week we had our first lesson as a family. Well, I say as a family, as soon as Jack got his lift pass he was off, totally blew us out. It’s hard to comprehend your firstborn being so skilled at something yet you have never witnessed this skill. But once he had his skis on he was off, so excited to be getting onto the snow, and confidence oozing out of every pore. I felt nervous as I watched him walk away, what if he fell? Was he as good as he thought? 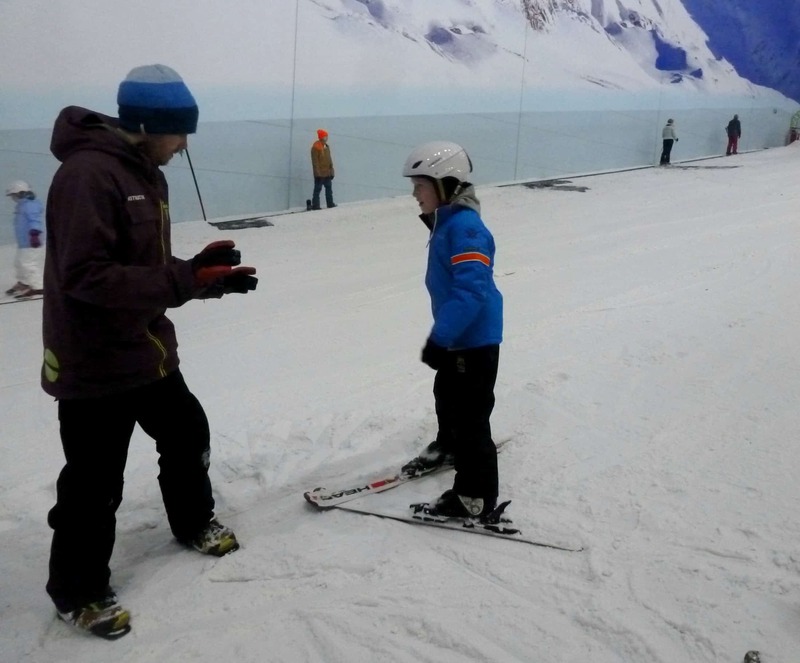 The shame is I never got the chance to see him, but Chris left our lesson early to watch jack whilst I stayed with Joe and he said he looked great on the snow, full of confidence and clearly knew what he was doing. What about us? This was the first time any of us 3 had ever tried skiing. Joe like always was confident he would be amazing and waded in like a pro skier. Chris and I were excited; I mean how hard can it be? Well, let me tell you it’s not as easy as it looks. Our instructor Sebastian was incredible he had so much patience, and trust me he needed it. 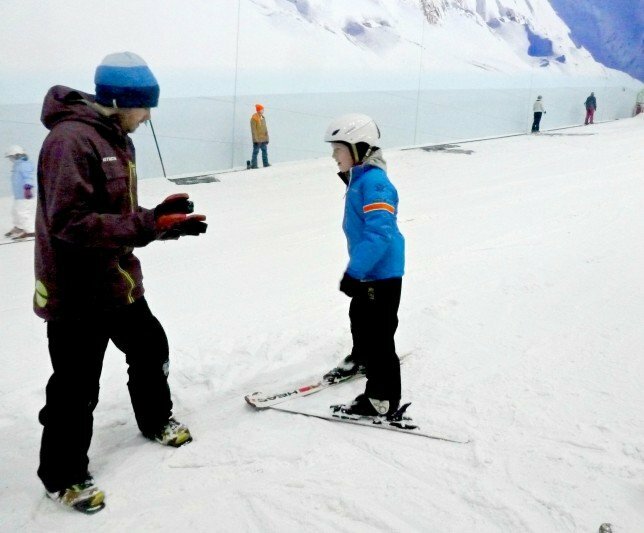 Our lesson was an hour-long and included lots of basics such as putting on the skis, maneuvering, turning, balance and stopping. All very easy I thought. In fact when we first saw the slope we rolled our eyes it was tiny, we were going to boss this, I was confident. Once we had figured out how to put the skis on we had to master walking or sliding the skis, within minutes I was laid face down in the snow. Chris who I can only liken to Bambi on skis was no use and Sebastian had to come to my rescue whilst Chris and Joe rolled about laughing at me like mash men. Next we had to walk up the slope sideward. Looks easy right? Wrong I took 2 steps up and slid down 4 it took me so long to grasp. Chris and Joe picked this up very quickly to left me clambering up with the 5-year-old boy next to me looking on trying to patient. But the look in his eyes said it all, blooming hurry up! Within 20 minutes if I could have moved my giant ski feet I would have run for the hills but without falling in a tangle heap this just was not humanly possible. 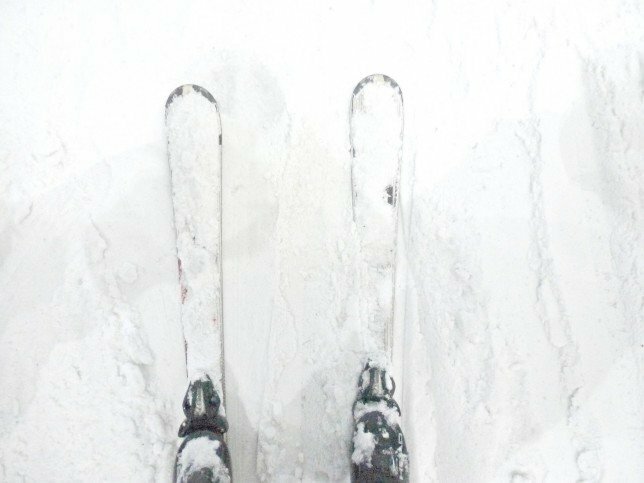 My ankles hurt, I was awkwardly clambering around, sliding up and down thinking never ever in my lifetime will I ever ski, ever. The worst of it was, Joe was now happily skiing, doing little jumps, turning and looking very pleased with himself. I think at this point Sebastian could see the desperation, frustration and pain in my eyes. He stopped me and showed me how to hold my posture correctly. I had got it all wrong and they way I was standing was affecting my balance and ability to maneuver the skis. And there it was my epiphany I had finally got it. I went from being in pain and wanting to run to loving every minute. By the end of the lesson I was able do hops, little jumps, stop, and turn, hoorah. And thank goodness I was saved from the shame and embarrassment of being the rubbish skier of the family, something I would have never lived down. So would I have another lesson? Absolutely, once I had got to grips with skiing I loved it. 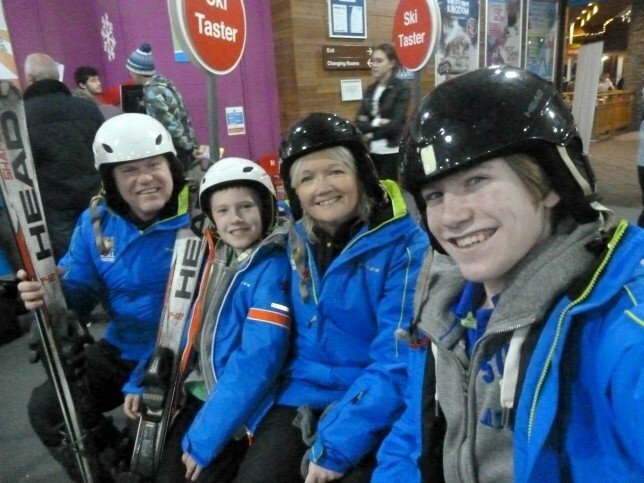 The staff at Chill Factore were just the friendliest bunch of people and so so helpful. Had it not been for Sebastian I think I would have thrown the towel in after half an hour, but he worked with me, helped me work through it. And the first question the boys asked me when we left Chill Factore was could we come again soon? Followed by a close can we go skiing? And after my our recent lesson I do believe the answer is yes, I am well and truly converted. I’ve never downhill skied. Ever. I guess i am a poor excuse for a Canadian! 🙂 I live minutes from a a moderate sized hill and should probably give it a try. There is just so much equipment! And the sore muscles after!! yikes. I think I might stick to skiing vicariously through you!